Do you want to grow your small business? Join us Monday, June 18th, at 11:30 AM for a lunch and learn session with ReferenceUSA. With ReferenceUSA, you can do all kinds of sales and marketing research, learn about other businesses in your area, and more! A light lunch will be served. 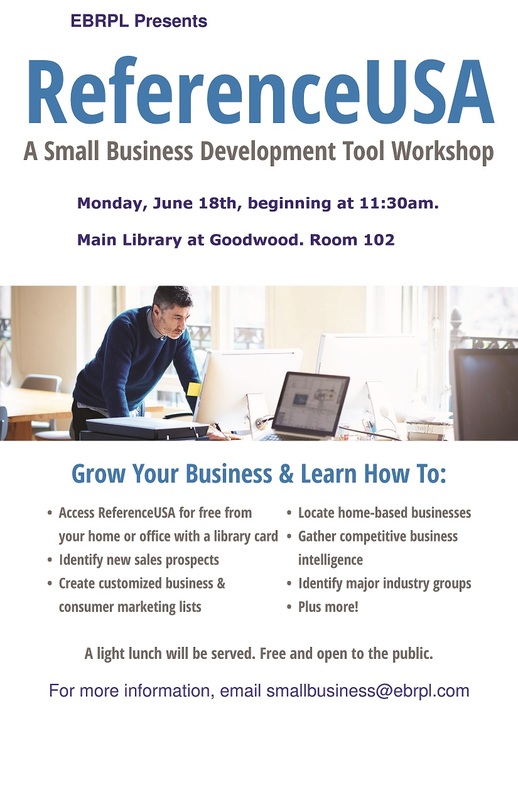 For more information, email us at smallbusiness@ebrpl.com. Next Next post: Cool Careers: Beauty and Personal Care next Wednesday!